Artisanal grilled cheeses on wheels hit NYC. 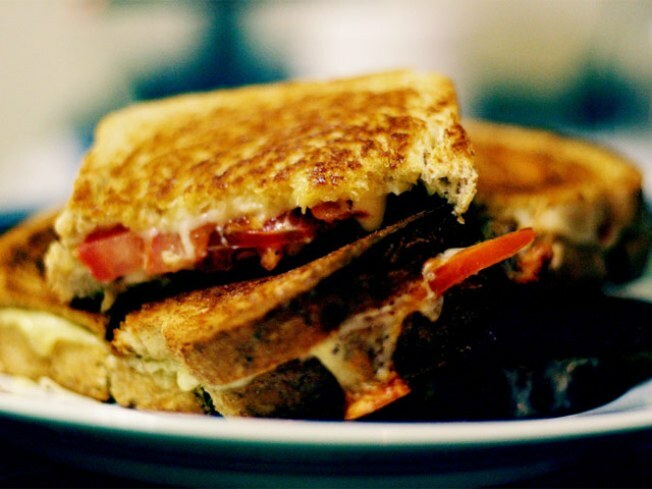 There are few things more plainly satisfying than a grilled cheese sandwich – except, perhaps, an artisanal grilled cheese sandwich (the process, not the restaurant) with caramelized onions and a fried egg or hopped up on fried piquillo peppers. Enter the Milk Truck, Keith Klein’s new curds-on-wheels endeavor, debuting next weekend at the Brooklyn Flea in its new Skylight One Hanson location (the actual truck part should follow, when all permits/licenses are in order, by May or June). Has anyone told the Beverly Hills Grilled Cheese Truck about this? Hmm. See GS for the full menu.